Big sale! Get the eBook for 99¢ at Amazon & BN.com! Every character and city from Arcas has a relation to the very constellations in our own heavens. 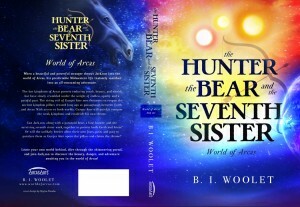 [...] This novel is bursting with a nebula of new ideas and visions for the fantasy genre for young readers. Twists and turns, always something unexpected, hidden doors into another world; this book reminded me of the Chronicles of Narnia. Don't start this book unless you have a good chunk of time--it'll hook you with the first chapter! What a great book. This is better than Harry Potter. When Jackson, a teen from Earth, gets thrown into the world of Arcas, his predictable Midwestern life instantly vanishes into an all-consuming adventure! 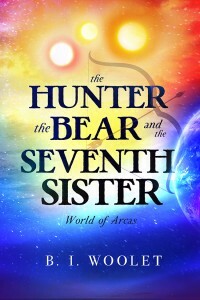 The Hunter, the Bear, and the Seventh Sister is the first of many in the World of Arcas series. This ancient land of mysterious kingdoms and powerful monsters will take you on a magical journey to fight a rising evil.  Every character and creature bursts forth from our own stars, constellations, and deep space objects into new life in the world of Arcas. When a beautiful and powerful stranger throws Jackson into the world of Arcas, his predictable midwestern life instantly vanishes into an all-consuming adventure. The last kingdoms of Arcas possess enduring youth, beauty, and wealth but have slowly crumbled under the weight of endless apathy and a painful past. Can Jackson, along with a paranoid bear, a lone hunter, and the surviving seventh sister work together to protect both Earth and Arcas?Or will the unlikely heroes allow their own fears, pain, and past to paralyze them as Gurges Ater opens the pillars and claims the throne? Join Jackson in his second journey to world of Arcas in the book: Arrows of Darkness. Jackson held his sword firmly with both hands, for one would be foolish to challenge the powerful Draco with mere one-handed swordplay. Circling around him, the beast roared from his gut, flinging embers of fiery saliva through the air. Each hazardous droplet sizzled against the doubled-edged steel blade. Jackson dove to the ground on his knees, slicing the dragon’s leg. His sword did no more damage than a mere twig, bouncing off each armored scale, merely scraping off the top layer of cool, thick oil, which protected the dragon from both water and flame.